Dietary administration of orotic acid (OA), an intermediate in the pyrimidine biosynthetic pathway, is considered to provide a wide range of beneficial effects, including cardioprotection and exercise adaptation. Its mechanisms of action, when applied extracellularly, however, are barely understood. In this study, we evaluated potential effects of OA on skeletal muscle using an in vitro contraction model of electrically pulse-stimulated (EPS) C2C12 myotubes. 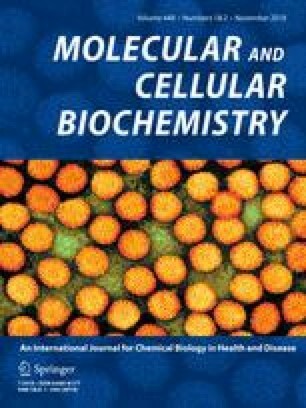 By analyzing a subset of genes representing inflammatory, metabolic, and structural adaptation pathways, we could show that OA supplementation diminishes the EPS-provoked expression of inflammatory transcripts (interleukin 6, Il6; chemokine (C-X-C Motif) ligand 5, Cxcl5), and attenuated transcript levels of nuclear receptor subfamily 4 group A member 3 (Nr4A3), early growth response 1 (Egr1), activating transcription factor 3 (Atf3), and fast-oxidative MyHC-IIA isoform (Myh2). By contrast, OA had no suppressive effect on the pathogen-provoked inflammatory gene response in skeletal muscle cells, as demonstrated by stimulation of C2C12 myotubes with bacterial LPS. In addition, we observed a suppressive effect of OA on EPS-induced phosphorylation of AMP-activated protein kinase (AMPK), whereas EPS-triggered phosphorylation/activation of the mammalian target of rapamycin (mTOR) was not affected. Finally, we demonstrate that OA positively influences glycogen levels in EP-stimulated myotubes. Taken together, our results suggest that in skeletal muscle cells, OA modulates both the inflammatory and the metabolic reaction provoked by acute contraction. These results might have important clinical implications, specifically in cardiovascular and exercise medicine. The online version of this article ( https://doi.org/10.1007/s11010-018-3330-z) contains supplementary material, which is available to authorized users. Work in the authors’ laboratory was furthermore supported by grants from the Monika-Kutzner-Stiftung, Berlin, Germany, and from the Else-Übelmesser-Stiftung, Tübingen, Germany. This work was supported by a grant from Wörwag Pharma, Böblingen, Germany.